As a homeowner in the Tampa Bay area, you probably have invested some time, energy, and money making your house a comfortable and attractive place to live. You keep the interior clean and organized, and the exterior well-maintained. You’ve likely even decorated with beautiful furnishings and accent pieces that reflect your unique style and taste. Doesn’t your lawn deserve the same amount of care and attention as the rest of your property? We think so. At Sunrise Irrigation & Sprinklers, we are a family-run business staffed by people who believe that a beautiful yard is an indispensable component of a beautiful home. When we think of an ideal home, we picture smooth, lush, green lawns that will turn the heads of passerby and allow our children to run around barefoot. If you can picture your ideal lawn, Sunrise Irrigation & Sprinklers can make that dream a reality. We are a team of talented lawn care specialists who have dedicated themselves to one primary goal for more than 20 years—keeping the lawns of Tampa Bay healthy and green with efficient, cost-effective lawn care. 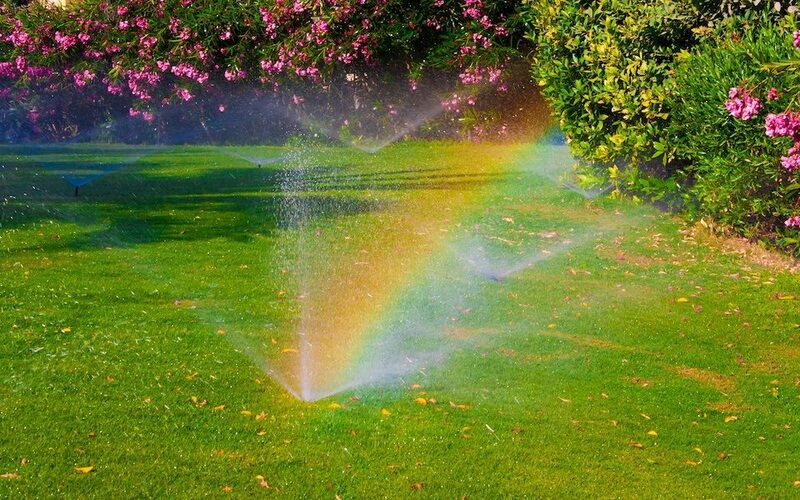 We offer an array of sprinkler and irrigation system services, including installation, maintenance, and repair. No matter what type of residence you own, we can have your lawn looking its best through our innovative lawn care solutions. Give us a call today to speak with one of our licensed and insured technicians. Our specialists can help you develop a plan that suits your unique property and needs before providing you with a complimentary estimate. When you work with us, you’ll see why we’ve been a leading irrigation system company in the Tampa Bay area for more than 20 years. Everyone admires a healthy, green lawn. But not everyone has the free time to spend hours watering and caring for their lawn. When you install a professional irrigation system, you can keep your lawn green and thriving all year long. A sprinkler system will provide regular irrigation at the proper levels to encourage healthy growth. A properly installed sprinkler system can dramatically cut the water bill for your home, saving you money every year. Plus, your plants will live longer so you won’t have to keep investing in purchasing new sod and seed. A professional sprinkler will do the watering for you, leaving you more time to relax, spend time with your family, and enjoy your beautiful yard! By having a quality sprinkler system installed on your property, you can raise the resale value of your home. A lush green lawn is attractive to everyone, as is the promise of stress-free maintenance. An automated sprinkler system can help you conserve one of our most precious resources—water. Automated sprinklers use less water than watering by hand, and do not waste water on driveways, sidewalks, and patios. Sprinkler systems can be set up to go off at night or in the early hours of the morning to take advantage of less windy conditions and cooler temperatures. Sprinklers are programmed to halt watering cycles during rainfall, and can also be adjusted during times of drought or water conservation to use even less water.